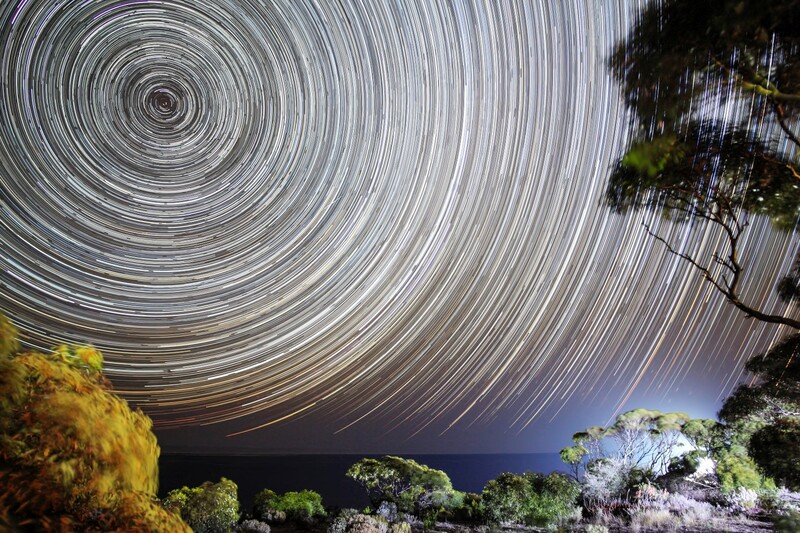 I do take a lot of star-trails photos! Not only do I like the dramatic effect of the trails themselves, but there is a certain mystery in the end result caused by stray light from unexpected sources. This photo was no exception with extra drama being added by the road-trains crossing the Nullarbor Plain 24/7. Taken on the WA/SA border over four hours, this image really captures the spectacular landscape of the area and how humans have impacted it. This entry was posted in News, Nightscapes by Astrojunk. Bookmark the permalink.